Operating with a very simple company mission, “Do Something Common, Uncommonly Well,” has served wireless internet service provider Broadwave favorably. The company has grown from a small town ISP to a regional powerhouse during its five years, primarily thanks to word-of-mouth from its very satisfied and loyal customers. With a focus on ultra-reliable internet connectivity, Broadwave delivers high-speed internet to hotels, businesses, professional offices and government entities across Southern Florida. With an expansive network based on Mimosa Networks’ fixed wireless technology, Broadwave provides fiber-quality, wireless links that provide speeds of up to 1 Gbps. The WISP offers guaranteed service level agreements with its core network served by redundant internet and power feeds, which allows for customers to collocate servers and other critical systems, as well as operate their own virtual computing environment over Broadwave’s secure network. All systems are monitored 24×7, and the WISP performs its own NOC and field service operations. After deploying a number of different fixed wireless solutions, Broadwave switched to exclusively using Mimosa for its point-to-point (PTP) and point-to-multipoint (PTMP) links. One of the key reasons was the level of service the Mimosa support team offers Broadwave engineers and installers. “We continued to be amazed by the level of service we receive from Mimosa,” said Jordan Smith, CEO of Broadwave. “On numerous occasions, Mimosa has reached out to us before a weather event and has offered their services to help us keep our network up and running whenever possible. We feel like we have a true partner in Mimosa—they are with us, supporting our business, every step of the way. Thanks to their superb support, we can focus our attention on providing the best level of service to our customers.” Broadwave operates a full suite of Mimosa fixed wireless solutions, including B24 (24 GHz) backhaul radios, B11 (11 GHz) radios, B5/B5c/B5-Lite (5 GHz) radios, A5/A5c (5 GHz) access devices, C5/C5c (5 GHz) client devices and G2 gateway devices. One of the key advantages Broadwave can offer businesses is the ability to have an internet connection up and running in a matter of days, versus weeks or months with the traditional cable and phone companies. The WISP installs a small antenna on the side of the business and runs an ethernet cable, which is then connected to the company’s router. In addition, Broadwave offers scalable internet which allows customers to call the WISP with requests and the ability to upgrade their service with the click of a button in a matter of minutes. Another key advantage is that Broadwave is not reliant on cable or telephone companies to operate. The company does partner with large incumbent providers to gain access to fiber connectivity across the United States, and also uses satellite connectivity as part of its redundancy plan. Broadwave recently completed a deployment for the Monroe County Board of County Commissioners, the governmental agency for the Florida Keys, an island chain located at the southernmost part of Florida. With a population of about 77,000 in Key West, in addition to millions of visitors each year, Monroe County wanted a dedicated PTP link for disaster recovery. 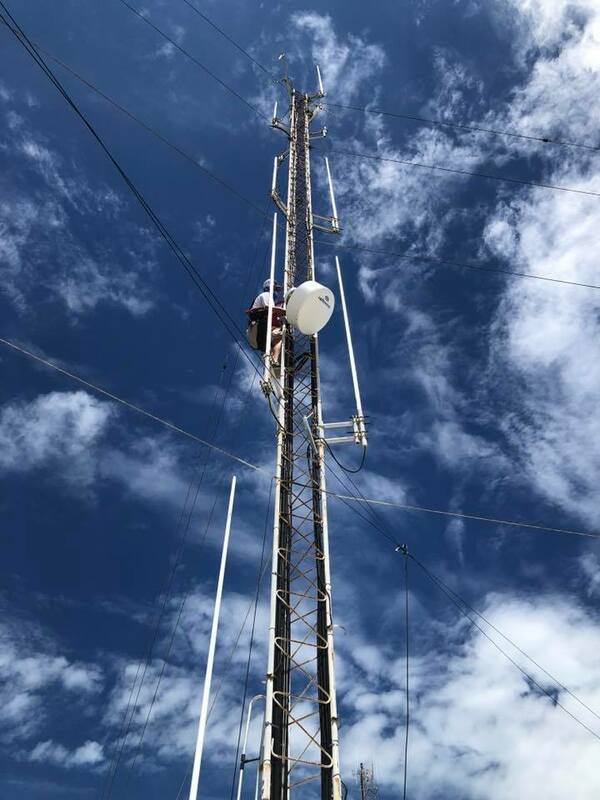 With the newly installed 11 GHz licensed PTP link, Monroe County can ensure first responders can communicate during and after natural disasters, powered by Broadwave. Broadwave recently deployed a PTMP link to the Bahia Honda State Park. The customer was connected with a C5c and KP antenna at a distance of 13 miles to an A5c access point device. The customer saw speeds increase from a measly 2 Mbps DSL connection to over 200 Mbps. With the State Park deploying VoIP, Broadwave not only increased speeds, but reliability and unified communications between two of the most popular state parks in the Florida Keys. Original article published on mimosa.com.